The financial sector has been one of the key handlers in India’s efforts to achieve success in rapidly developing its economy. Since our existing legal framework relating to commercial transactions has not kept pace with the changing commercial practices and financial sector reforms. This ensures the slow pace of recovery of defaulting loans and escalating levels of nonperforming assets of banks and financial institutions. Narasimham Committee I and II and Andhyarujina Committee was constituted by the Central Government for the purpose of examining banking sector reforms have considered the need for changes in the legal system in respect of these areas. Amongst the other committees, these Committees have made suggestions to form new legislation for securitization and empowering banks and financial institutions to gain possession of the securities and to sell them without any intervention of the court here. 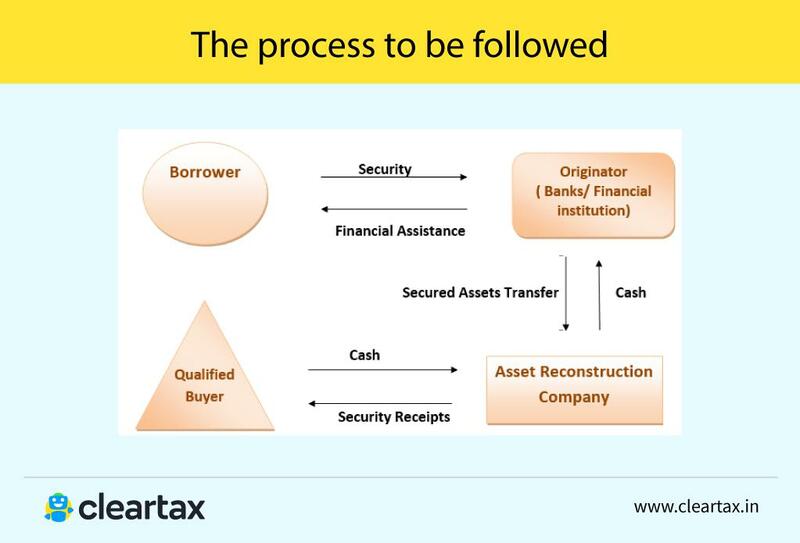 Efficient or rapid recovery of non-performing assets (NPAs) of the banks and FIs. Allows banks and financial institutions to auction properties (say, commercial/residential) when borrower fail to repay their loans. It extended to the whole of India. 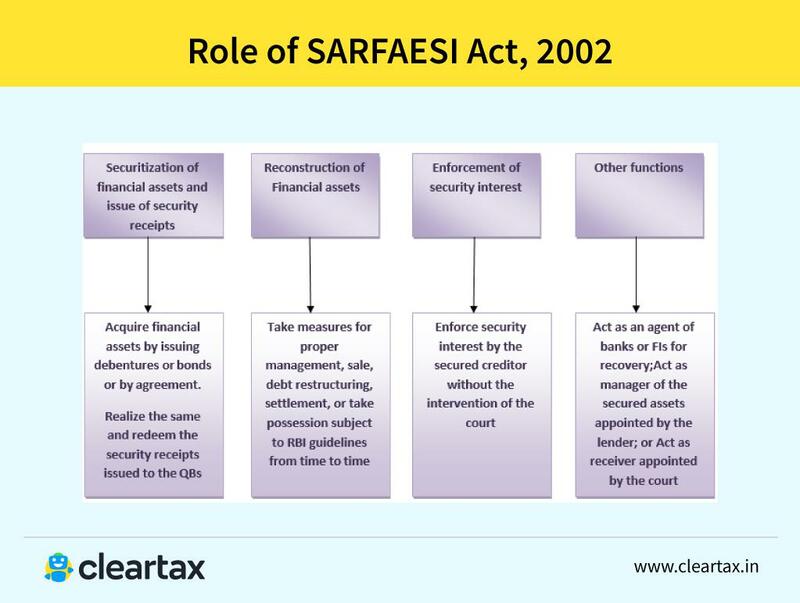 Amendment in the (SARFAESI) Act, 2002 vide the enforcement of the Security Interest and Recovery of Debts Laws and Miscellaneous Provisions (Amendment) Act, 2016.